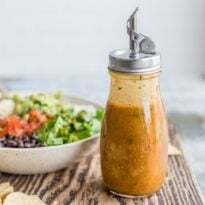 That smoky-sweet Chipotle Honey Vinaigrette you love and crave, now made in your own kitchen with easy pantry ingredients. Your new favorite salad dressing! They ask this every time I go to Chipotle and order a salad. Little do they know, the vinaigrette on the side is a primary driver to order a salad in the first place. 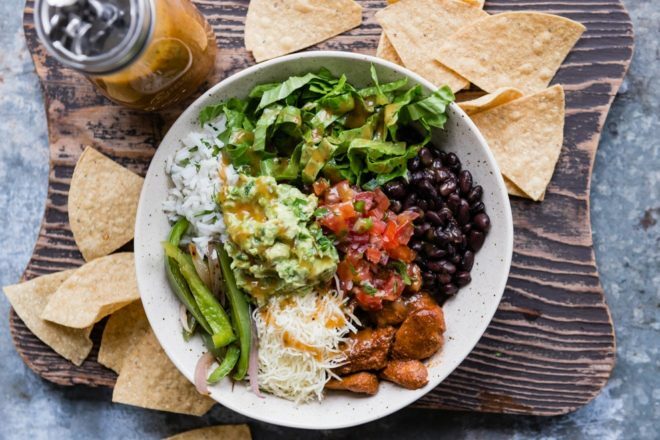 What is in Chipotle Honey Vinaigrette? Chipotle’s vinaigrette is made with a combination of red wine vinegar, honey, adobo sauce, spices, and oil. 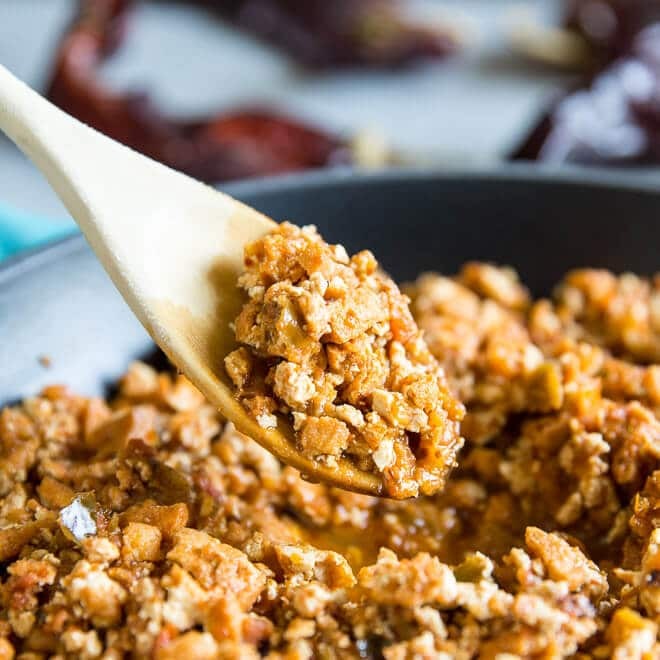 Chipotle uses Rice Bran oil in all of their recipes. 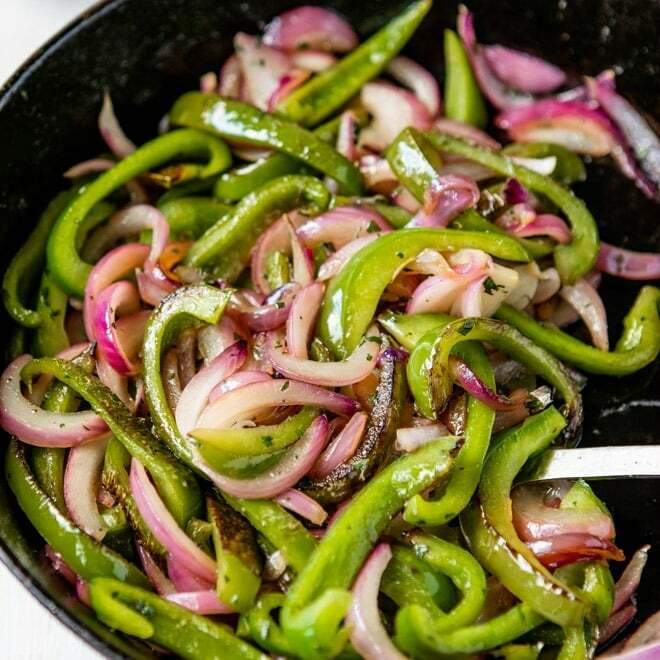 I always substitute olive oil because that’s what I have on hand (you can use any neutral-flavored oil). First combine all non-oil ingredients in a blender, then drizzle in your oil until it emulsifies. It takes literally one minute once you hit “process” and you’re done. What is a substitute for adobo sauce? 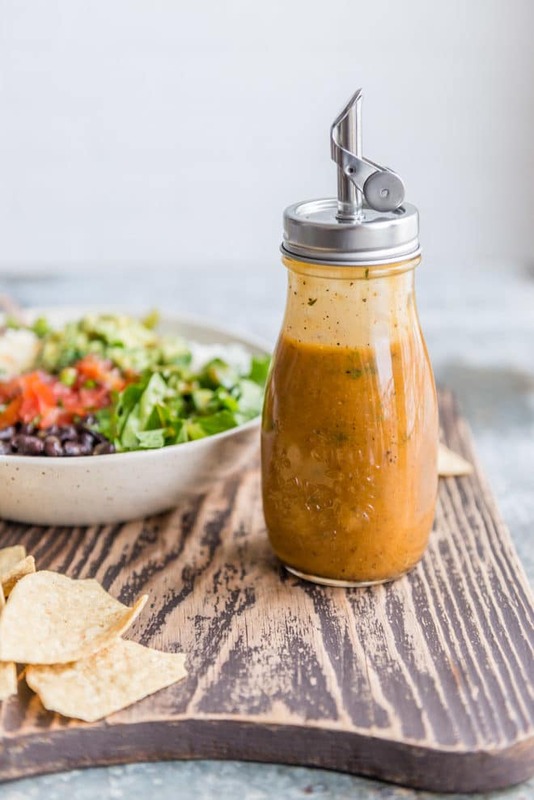 Save this Chipotle Honey Vinaigrette (Copycat) to your “Salads” Pinterest board! In a food processor or blender, combine the vinegar, honey, salt, water, adobo sauce, cumin, garlic powder, oregano, and pepper. Turn on the processor. With the motor still running, drizzle in the oil until the salad dressing comes together and emulsifies. 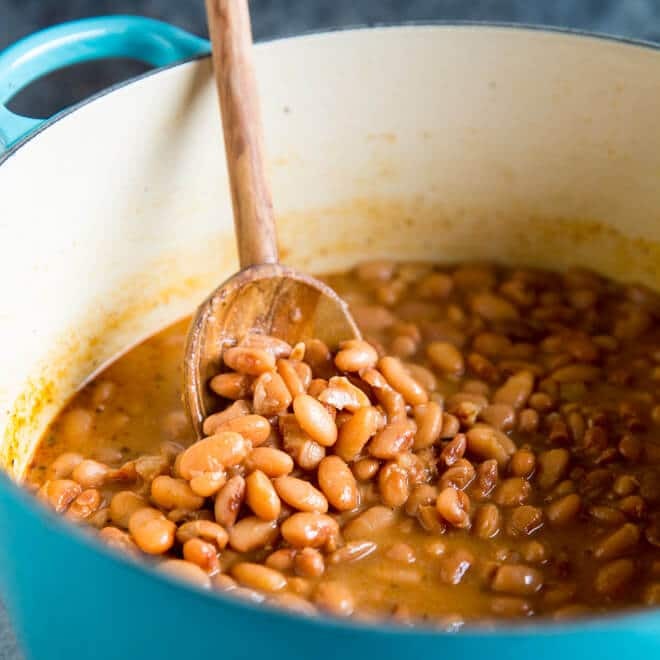 Serve immediately or store covered in the refrigerator for up to 4 days. Chipotle uses Rice Bran oil in all of their products. Olive oil is more widely available (probably already in your pantry) and works equally well, especially if it has a neutral taste. Adapted from Chipotle's ingredient statement. Thank you so much, Janette! 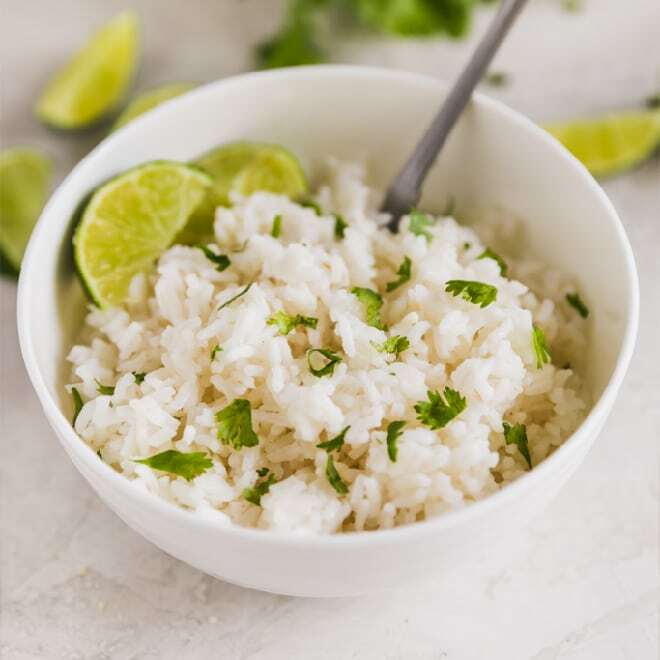 Calvin’s favorite way to eat it is on Chipotle’s cilantro-lime rice. Just the rice and the dressing, that’s all he needs. ;) I feel like we’ve had this conversation before…. Awesome post! Would you believe I have yet to try their salads? 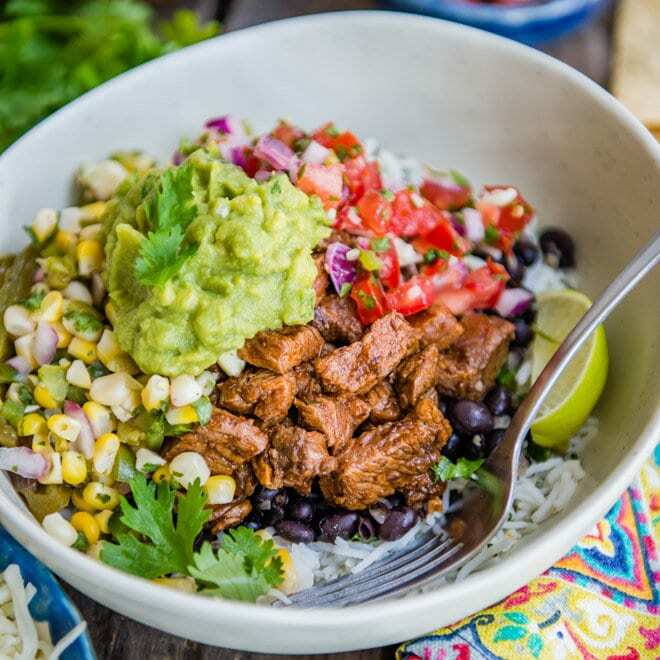 I’m a burrito bowl girl… Currently working on a sofritas copycat recipe :) I can’t stop glaring at these pics! Gorgeous!!!! And I really love how easily it comes together in the blender!!! Killer! You know, I just order a salad to get the dressing. I WANT a burrito bowl, and I’m sure they’d give me the dressing to go with it, but I just feel weird! For no reason! The sofritas are SO GOOD too! Yum! I love this, must try. Just found your blog and I’m really excited about all the beautiful Southern Californian cooking – will come back for inspiration! In the meantime, with your help I can make my own. Thanks, honey!! Not IF you visit the US – WHEN. When, Helen. You are getting your little British bum over here someday! If you make the dressing (I know being a blogger means you so rarely get to cook for fun) I hope you love it. It’s my fave! Ha ha, thanks Abbe! This recipe has definitely been put through the ringer. I hope you love it! Love everything “Chipotle” ! And all your copycat recipes are awesome, Meggan! Need to try this vinaigrette very soon! I bet this luscious dressing has a healthy kick to it. I can only use a teaspoon (at the most) for my dressings. The Hubby has a “wuss mouth”. But he is getting better. A sweet and spicy dressing? Count me in. This is my kind of dressing. It will go great with any salad recipe. Maybe with potatoes too. This sounds really delicious! I’m always on the lookout for an easy dressing recipe! And a Chipotle one none-the-less?! Will be trying soon!! Really? I can’t wait to try it that way! Thanks for the tip, I’ll likely update my recipe based on your feedback. Thank you so much! Funny bc chipotle lists garlic and cumin as part of the ingredients..
Hola Meggan, te saluda Juan Carlos desde mexico, te felicito por todas estas recetas tan sabrosas, un fuerte abrazo. How long can this stay refrigerated for? Hi David, for stuff like this I always refer to CDC guidelines and say – 4 days. Most of the ingredients are shelf-stable. The only one that isn’t is the adobo sauce, so that would drag the whole thing down to “4 days for leftovers” per the CDC. However, I have let it hang out in my fridge for a week or more with no issues. So, feel free to use your own judgement! Thanks for the question. Ive had it in my fridge for a month or more..no probs with any of it. Ive been making this dressing for 5 yrs. Hey There! My daughter is a vegan. Can i substitute the honey for Silan (date honey)? Hi Chanan! I’m not familiar with Silan, but it’s worth it a shot! I can’t imagine it tasting bad. You could also try agave nectar or something like that… you just need a little sweetener. Maple syrup might work too (would definitely change the flavor but not in a bad way necessarily). Good luck! Thanks! The dressing is killer with the bowl or, the burrito!! Is the sodium amount the same? The ONLY issue I have with the actual Chipotle dressing is the sodium amount. Is there a way to lower it? Hi Lauren! The recipe is showing the sodium based on adding an entire tablespoon of salt to the recipe (this is how I make it). If you remove the 1 tablespoon of salt, the recipe’s sodium content drops to 1.4mg / 0%. So, I would say use no salt, or add salt to taste based on whatever sodium amount you want to consume. Does this help? If you have more questions, please just let me know. Thank you! 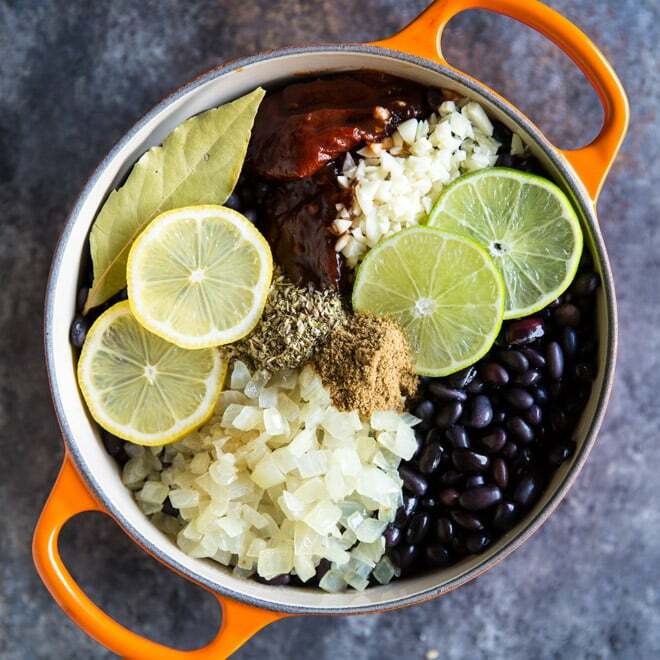 Can’t wait to try this recipe- I love Chipotle salads! Where did you get the dressing bottle that’s in the pictures??? Hey Mollie! I think it’s from Sur la Table or Target, but it’s old. This is the only place I can find it online right now, it’s $8.95. Good luck and thanks!